So as promised, here I am with a very new feature in this blog. With all those tempting dishes on the dinner table, there is one more very common plate i.e. Salad. This is something which is there by default. 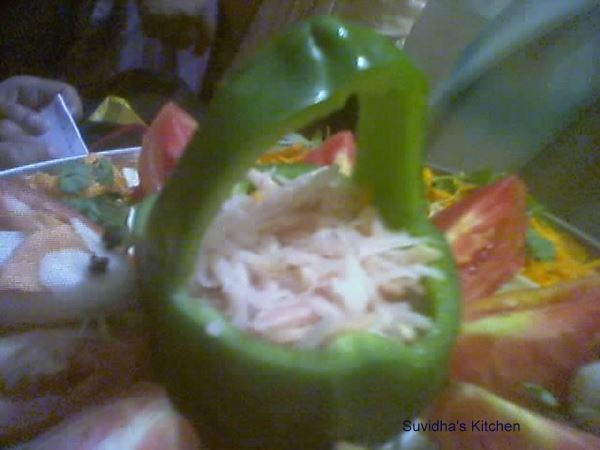 We do everything from seasoning to garnishing to present our recipes as it is rightly said that first we eat with our eyes. So, why not do the same for our salads. This can be done very easily and takes minimal time. You just need to experiment with different things and just need to place them properly on the plate. 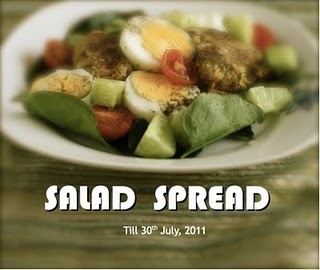 The salad plate doesn’t need much detailing as it is self explanatory. In case, you need to know something, leave a comment. 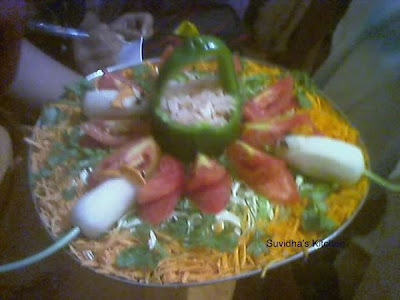 So, be ready to amaze your guests next time with this simple salad decoration. Thaanks for sharing the awards with me Suvidha. I am really honoured. 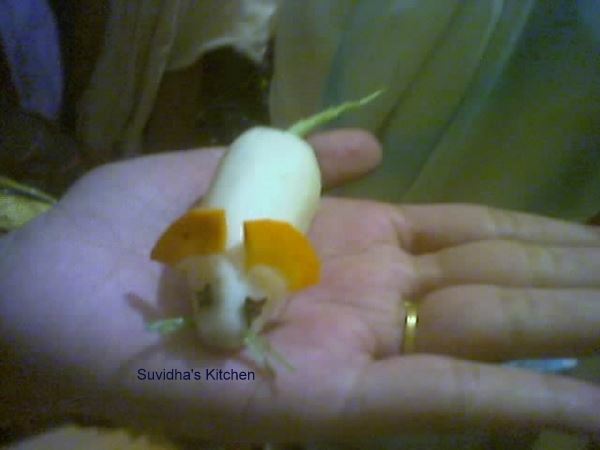 I loved the cute little mice that you have created with veggies.looks like they are munching away the salad...ha ha. will try trying this sometime. please try starting a feature for table arrangements too ! 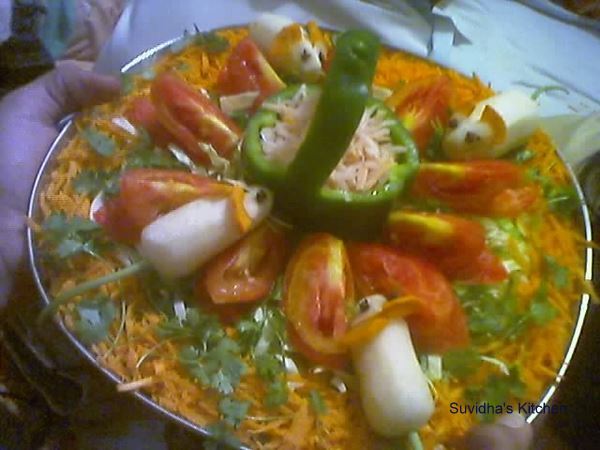 first time here...nice space you have..with interesting collection of recipes..
hi suvidha.. first time here and i love ur little space.. wonderful salad decoration. followin u!! wow this is awesome.....nice decoration! You have a nice collection!